A visit to Parlee Farms isn’t complete without a stop in to Mary’s Country Kitchen and Bakery. It’s named after our oldest daughter, Mary, who started the ice cream stand in 2000 when she was 14 years old. Eighteen years later, Mary’s Country Kitchen now is comprised of three commercial kitchens and an amazing staff who create all those wonderful goodies! The ice cream stand, which serves more than 20 flavors of Richardson Ice Cream from Middleton, MA, is a popular spot on the farm. In addition to offering ice cream, sundaes and frappes, it also features seasonal items using our fruit such as old-fashioned strawberry shortcake made with fresh baked scones or strawberry sundaes during strawberry season, blueberry crumble during blueberry season, and apple crisp during apple season – and all available with ice cream! Iced Coffee, hot coffee, and frozen drinks are always available, with hot apple cider added to the menu during the fall season. 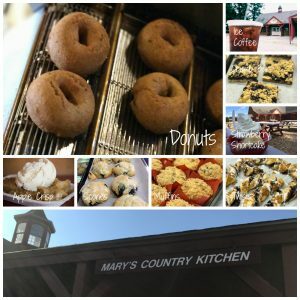 Perhaps what Mary’s Country Kitchen and Bakery is best known for is our fresh made donuts, which we began baking in 2005. We offer strawberry donuts in June, blueberry donuts in July and August, and apple cider donuts in September and October. Our apple cider donuts have been named the best in New England by the viewers of NECN! Visitors are welcome to watch them being made in the farm stand. There’s nothing quite like warm, delicious donuts! Mary’s Country Kitchen and Bakery is happy to announce that we have new all-natural cookie recipes! We have new recipes for our chocolate chip cookies, M&M cookies, sugar cookies, and lemon cookies. 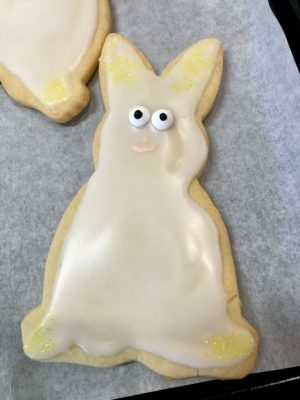 The sugar cookies come in different, farm-themed shaped, such as strawberry, bunny, and chicken shapes as well as apple and pumpkin shapes for fall. Stop into Mary’s Country Kitchen and Bakery to take home of our farm made granola. You can eat our granola by the handful, sprinkle it in yogurt, pour milk over it and eat it for breakfast, and even top ice cream with it! Our granola made from scratch and completely all natural. While browsing through our store, you may be enticed by the scent of freshly popped popcorn. Buy some to snack on while you browse, and be sure to take some home with you! Our homemade popcorn is made only with the best ingredients: quality popcorn kernels, coconut oil, and pink Himalayan salt. Our popcorn is all natural, simply made, gluten-free, and delicious. We have a few new items this year including some new iced beverages. Purchase some baked goods from our bakery and then wash down your treats with our delicious beverages! During the summer months, we are excited to serve frozen strawberry lemonade, made with our own strawberries! We are also serving iced coffee. Both are the perfect addition to your time at Parlee Farms. At Parlee Farms, we’re proud to use the designation of FARM MADE on our bakery items that are made from scratch right here on the farm. We hope you’ll try some of Mary’s Country Kitchen and Bakery’s mouthwatering treats the next time you come to visit!